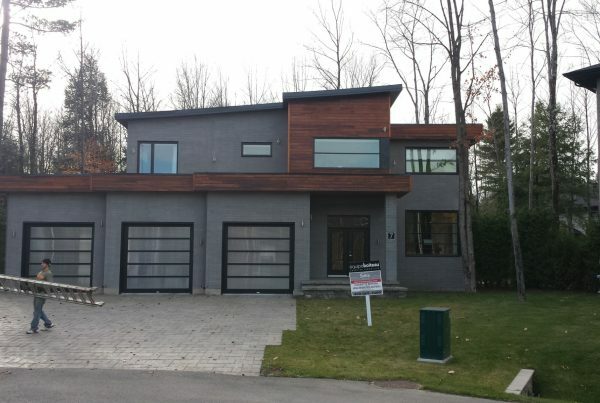 There has been consistent growth of exotic wood in Quebec. Whether it’s exterior furniture, patios, fences or doors, exotic wood offers a cachet and a uniqueness that is incomparable to standard timber. It’s important to use the right techniques to preserve this wood that is often not a small investment. 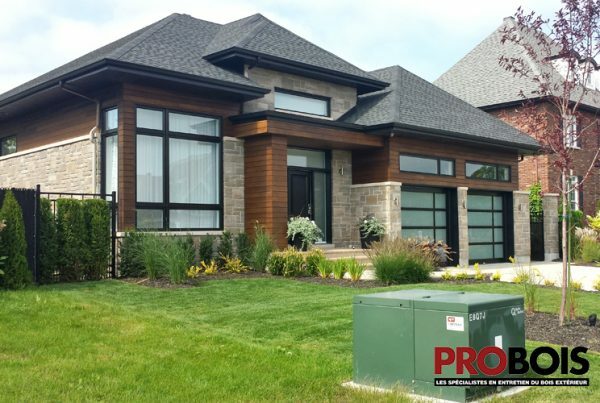 Thus, PROBOIS offers its peerless expertise in the maintenance and treatment of exotic wood in Quebec. Generally speaking, exotic wood does not require any particular product to be washed. 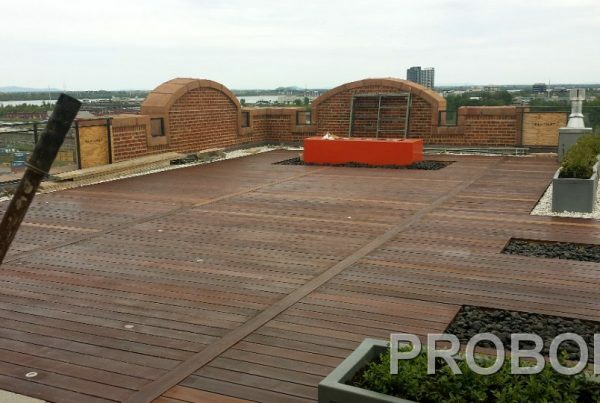 Probois uses conential shampoos and soaps in the majority of its projects. Indeed, since exotic wood often has very small pores, dirt and other impurities often have a more difficult time penetrating them. Cleaning it with a pressure washing machine is very effective since the dirt is often found on the surface of the wood and not within it. An all-purpose brightener is used during the neutralization process. A ratio of 10% is always respected to make sure we do not alter the characteristics of the wood and its colors. Afterwards, we leave the wood dry for a day to make sure all surfaces have dried adequately. Note that, the smaller the pores of the wood the faster it will dry since water has a more difficult time penetrating it. 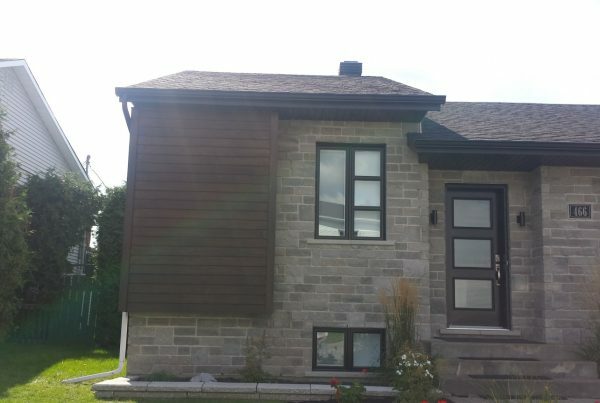 Since the exotic woods that are used in Quebec to design all manner of structures are often imputrescible, it is necessary to use a large grit during the sanding process. Thus, PROBOIS uses grits between 40 and 60 in the majority of its projects. In this way the pores of the wood are opened in the most efficient and optimal way. Note that if the surfaces are inadequately sanded it will immediately show once the oil or stain is applied. Indeed, since the oil or the stain will not penetrate the wood uniformely some parts of the wood will be darker while others will be paler. Once again, a good prepartion is the secret to a good finish and a job well done. Once the surfaces are sanded we clean them with acetone or methyl hydrate. Natural oils are very good maintenance products for exotic timbers. Environment-friendly, and often VOC-free, natural oils are probably the most common exotic wood maitenance products. 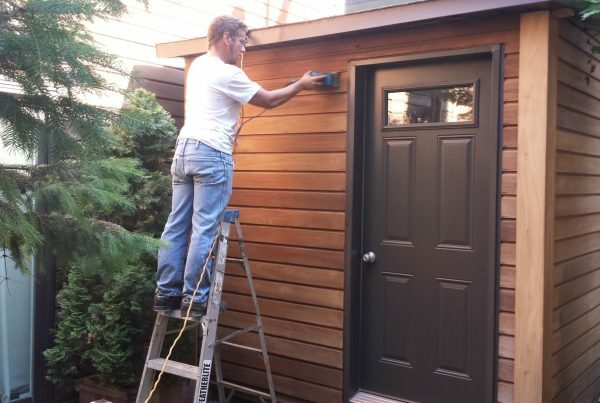 Application : One coat is enough on wood sidings to adequately protect them. We applu the product with lambswool so that the product penetrates the wood thoroughly and to give an impeccable finish. Maintenance : One coat every year will protect the exotic wood. Failing this, the wood will become greyish before long and the weather will take its toll on the timber. 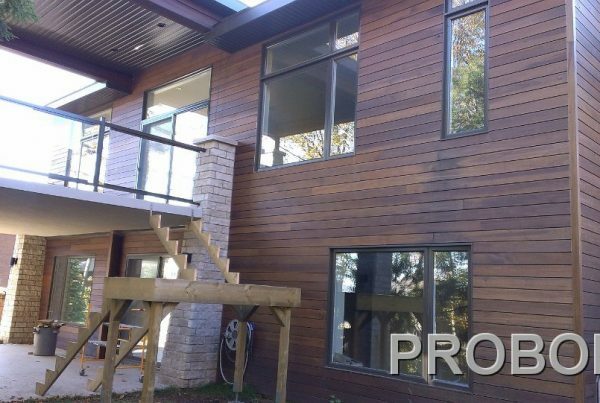 Translucide stains allows us to modifie the natural color of the wood. 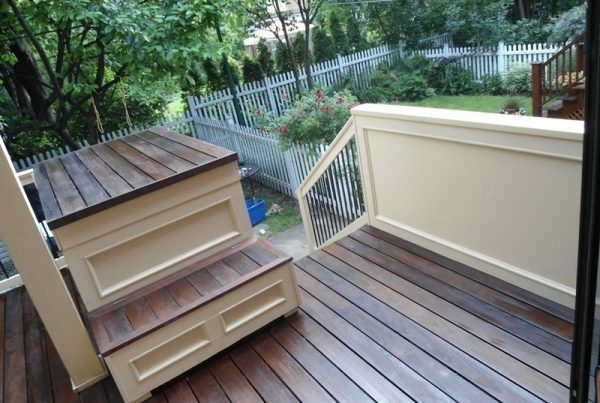 Stains are rarely used on ipe but can be essential for teak or cumaru. The use of translucide stains on exotic wood can give it a unique touch and protect it at the same time. Following the stain application, a special sealer is applied to seal the wood that has been stained. Application : Once again, we generally prefer to apply the stain with lambswool. Experience has shown us that this tool gives us the best penetration and best finish. 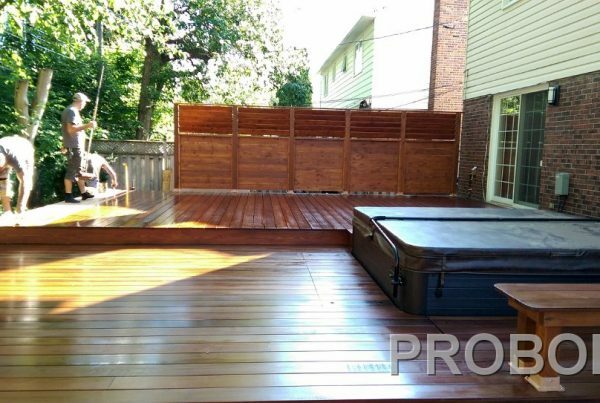 Maintenance : One coat of sealer every year or two if the wood is not often in full sun. This will protect the wood from the sun, the weather and dirt accumulation.